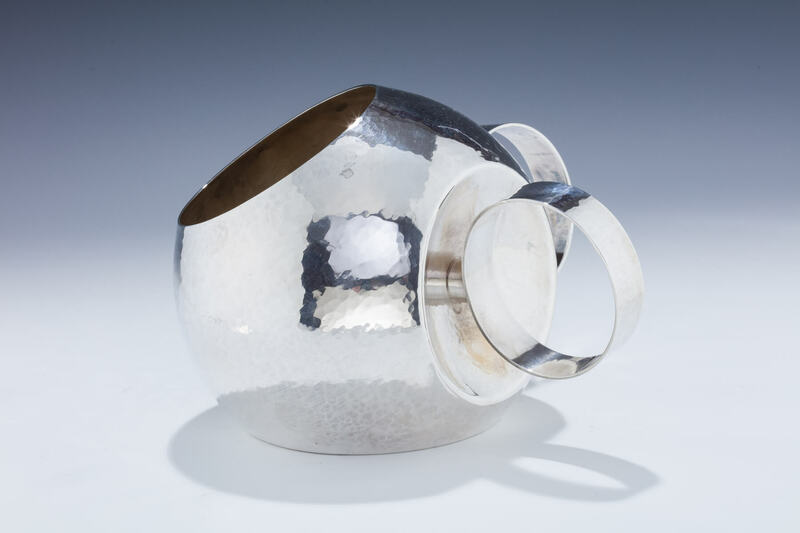 A RARE STERLING SILVER WASHING CUP BY ZELIG SEGAL (1933 – 2015). Hand wrought and hammered. 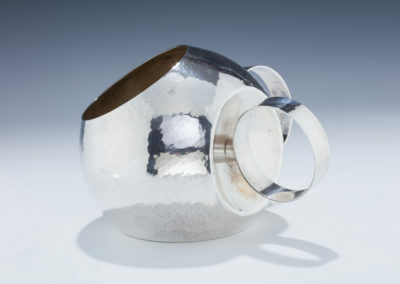 In the shape of a modernist spherical ball with circular handles. Signed Z. Segal and engraved with previous owner’s name “Guggenheim family”. 5 .5” x 7.7” and 713 grams.